Not entirely. Depends on the OS. Android is always improving in their emulation. Saturn being a prime example as systems unable to play it can now. Its about the coding. Even n64 plays differently depending on what you use. This will definitely play many things others can't. Many demos on YouTube already show that. Given time and users it'll be one of the best next to the shield tv... Which is rumoured to get a new version this year. I know what you mean, that there is always an overhead, it's a matter of how much. For example is a particular instruction doesn't exist in hardware, then you have to software emulate it, and hence it takes a lot of time. In this case it should be much easier.. or less work .. For example We're not doing a x86 to Arm RISC core... We're doing a similar generation arm RISC core to similar gen arm RISC core. Yes it would, you need to read about how emulation works. Emulation doesn't run the original machine code directly, you need the equivalent of several times the processing power of the original hardware to emulate the hardware in software; all of this needs to be done on a CPU. I stand corrected, thought it was worse. Would probably choose the 2060 over the 1080 even if they were at the same price looking at those specs. Is this better than a gtx 1080? Have a look at your comments. You claimed the Vega 64 was £250 quid cheaper. That is not true, even on Overclockers. You then said 'the card I'm showcasing is an overclocked 2070' But I was showcasing a set of cards, you can see yourself, the base 2070 is included in all of the benchmarks and is within 2%. It's disengenous to ignore the fact it is included. i made my original comment based on steve's benchmarks which concluded a 10% average in favour of the 2070 that is why i used the term 'around' then i got on with my life. but 'what's going on here?' 'willfully lying' they are 'blatant and extreme' wtf lol if i have made an honest mistake then i apologise but get some air chap i think you need it! Look closer, you can see the 2070 stock card just above the 2070 strix. What's going on here? Why are you purposely ignoring readily available data? Why are you using overclockers as some price comparison? Even still... Why are you so willfully lying? https://www.overclockers.co.uk/pc-components/graphics-cards/amd/radeon-rx-vega-64?sPage=1&amp;sSort=3 Cheapest Vega 64 is 380£ Cheapest 2070 is 459£ Best recent HotUk deals... Vega 64 - 370£ 2070 - 412£ So... what gives? These are some obvious mistakes you've made in your comment, and they are blatant and extreme. Honest mistakes? I had to return 2 of those&#x1F621; same issue. Buzzing fan!!! 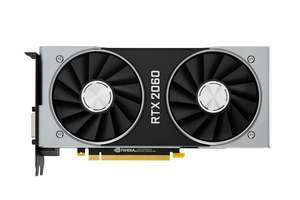 The 2070 has the least value of the RTX range for sure. Hmm. Not a huge difference between the 2060 and 2070 according to the testing. Certainly not worth the extra money for me given that vram isn't the issue people were making it out to be. I think it's a good card for a casual gamer at 1440p. I personally use my PC for work about 90% of the time then play games occasionally. My monitor is 60hz geared towards office/photo work so I don't need a 120fps 1440p capable card. At 329 and a free game it seems to offer an excellent all round package. 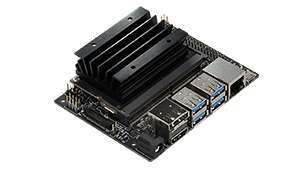 The FE card is quiet and small which is ideal for my ITX case. Alternative is a Vega 56 which is a power hungry card and in most games doesn't keep up with the 2060. The VRAM isn't an issue, it beats many 8GB cards. Actually I spent an hour installing GeForce now and setting up accounts for GN and fallout and then testing and searching everywhere in GeForce Now to try find this offer. To find the OP was BS. Check your facts before making threads here simple. For those that don't know the OP said something like "Play Fallout 76 for free on GeForce Now" it has been changed now. You say games have been fee on the Shield but your title includes “free on PC, Mac” which seems a bit misleading to me. There are free to play games but they are free to play with or without GFN. In terms of pricing I think it is more than speculation, but I may be wrong. However as Nvidia’s shares nosedived last week maybe they will actually review their business strategies and pricing ...... just maybe. Do you have to claim the £30 off from Nvidia? The price is see-sawing every day so not sure if the money off is in the seller's prices or not? Can't see any claim info on Nvidia's site? Aye, I already have a DS4 so no need for the bundled controller. Is that you in your profile pic? No homo. I think there is, just not enough to charge what other people think they're worth. I'd much prefer an Xbox One controller to another Shield controller and they're usually cheaper. A year or two? Double that easy. I presume RTX is proprietary and Nvidia won’t let AMD use it, just like hair works, in order to Gimp AMD. Personally, I think NVidia is keeping the RTX GPUs price high so the GTX 10XX series looks cheap in comparison, so they can shift these old stocks. For now, if you want high performance GPU for gaming, you only have NVidia. I have picked up a RX580 for a third of this price, less fps, but perfectly playable (60fps) on Forza 4 with ultra settings. If I really want more fps, I can easily get another for CrossFire and still save enough for a 3rd :). Not a deal, this is RRP. I think it makes a huge difference personally. If I had never seen ultra then yes but I have so everything else is ruined now. That's why console looks like poo to me. I have a PC. I run on ultra, I just don’t think it’s that big a deal when playing games. Screenshots look great, the diff between very high and ultra isn’t usually that much. What I was saying is that if it wasn’t there you wouldn’t miss it. 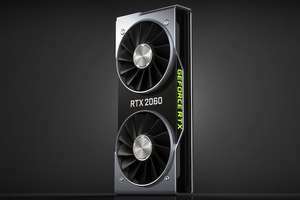 https://www.extremetech.com/computing/275859-dont-buy-the-ray-traced-hype-around-nvidias-rtx-2080-family Makes a good point. I hope that sales will drop. Ppl should vote with their wallets. This pricing is insane ese. I've only recently upgraded to fibre so for me 36 mb was a big increase but I'm often reading about the amazing 100 mb+ speeds others on this forum get on virgin etc! Seems to be working fine though I often get pop up warnings about the connection in the top corner - it never affects the connection or gameplay though. I'm very impressed! Good to know, exactly what I was looking for. A 36Mb connection was/is always going to be good enough - from the requirements: "GeForce NOW requires at least 15 Mbps for 720p at 60fps and 25 Mbps for 1080p at 60fps. You’ll need to use a hardwired Ethernet connection or 5GHz wireless router." Having to give em away as nobody wants the 10 series at the current prices. Can’t blame em. Over 2 years old and barely any real depreciation put on them from when they came out. So many simpletons .... new cards are still months away and the performance jump will be minimal haha . Great deal have some heat , I cannot see a better deal for the FE card nowhere . prices are getting stupid now. 30 000 1080Ti is returned to NVidia as excess stock and that's just one Taiwanese distributor, rumours of 1180 launch within a month. New product not just doing the same old but real world new features such as ray tracing and Virtual graphics at realistic rates and pixel counts. If this was just the usual upgrade then you would have a great deal on an end of life product, but now is the time to save the pennies not spend them, because the 1180 upgrade is massive ! The 110%ers are probably more so anyone outside UK. Power costs here are more prohibitive. Though I agree, mining cards when the market floods will be a bit hit or miss but will be a sound punt. Using a 240gb SanDisk Extreme Pro SSD (Up to 550 mbs read and 520 write) in a usb3 caddy. I read that usb3 and 100mbs are recommended. I meet the requirements but won't work as memory. The shield encrypts it, have you reformatted it? Once it's formatted for the Shield it won't work in anything else. Not got mine yet, but have you considered Powerline? Anyone have a 25% code I could have? Prime day deal on the hdhomerun if anyone missed out on the code, £78 for dual , £117 for the quad. Purchased. Thanks for the heads up. Hi, I don't suppose anyone still has any of these HDHomeRun 25% codes left? If perhaps you won't be using yours it'd be great to have one if you could PM me. Thanks :) Got one! Thanks magicpork! I always wanted to try it. Now I don't have to use the free 30 days. It so good. I'm amazed at the no lag. This may have sold me on it. Why use a PC when I can use this... Wish they had world of warcraft on it. I'm in free trial month on shield myself, must remember to cancel. Personally I've found the range a bit lacklustre and a bit glitchy. The version they are adding for Mac is really interesting though IMO. I'm years past caring enough about PC gaming to keep up with the endless hardware upgrades and no longer have a Windows PC, but would still like to be able to fire up the occasional PC only title. It doesn't say its free but the Store will be gone as you cant purchase any titles. You can play any that you purchased previously though. You might have an email off them as well as you've only just cancelled. been waiting for this!!! I used a different cloud service for games before on PC, but the only difference was that internet speed was 10 times of mine, and also the remote machine could play any game. You still had to purchase the games though. I got into the trial for this service. Can not seem to install the games says installing but does not. I think the service is also going to be expensive when it launches as it charging by the hour. Those interested should check out simplay they charge $20 a month for cheapest option and unlimited time. The specs are decent as well. Of course Nvidia is free at the moment but worth checking out the rivals. My partner got a key.. I didn't... So it's been fun watching them play PUBG and the likes of fortnite and far cry 5 with a laptop with Intel 4000 graphics. Nice post OP, heat added. Cloud computing is the way to go, no more expensive and repetitive hardware upgrades. When they get the setup of the virtual machines spot on this will definitely be the future of gaming and computing. I dunno, I saw some benchmarks and the 1080 seemed like an obvious choice, and is only an extra £80 or so? Because it's hardly any faster and significantly more expensive. Prices ARE creeping down towards R.R.P. as stock comes in. Dont be a mug. Be patient. Buy something with a decent cooler. 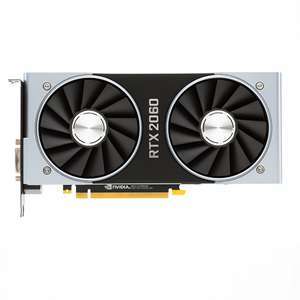 There is NO WAY a 1060 is worth £280, it should be a~ £220 card and that is for a strix or similar.As for used, theres gonna be a packet of rx's going cheap soon. Hi, I have been looking out for a 1070 at MSRP from Nvidia and noticed the 1080's are in stock if that is of interest to anyone! Can't see anything about warranty 9n those cards ? If it's just 2 years, then resale value is rubbish. Mat as well get a second hand asus or any other strong brand still under warranty. It's night and day between the 970 and the 1080. Feels like double the framerate. I made the move almost two years ago, never looked back. Dont buy Nvidia, else u will be supporting thier EVIL GPP program.